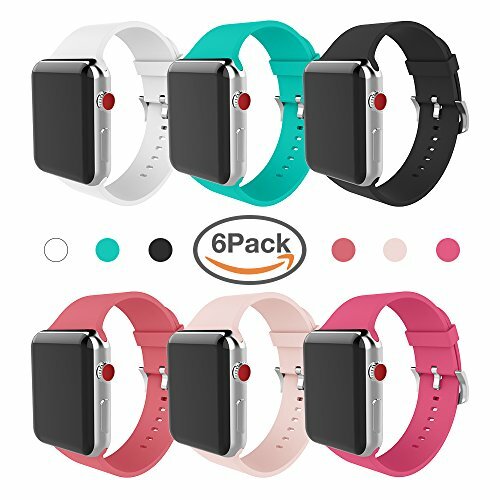 Package including: 6 x For Apple Watch Silicone Sport Band Product Description: Choose Your Favorite Color: You get tons of choices to personalize your Apple Watch with our band available in different color. Suitable for Different Occasions: No matter for workout purpose, or for day and night wearing, our band makes a perfect company. A Gift for All Seasons: If you don't know what gift to pick, this band is definitely a good choice for your friends or families if they own an Apple Watch. By with Confidence: In MITERV, you never have to warry about the quality. We offer unconditional replacement or refund for any quality problems or defective items. And we are always at your service. If you have any questions about this product by MITERV, contact us by completing and submitting the form below. If you are looking for a specif part number, please include it with your message.